I got the idea for this quiche when I was searching around for quiche recipes that included greek yogurt. (I thought I could reduce the number of eggs required for quiche by replacing some with yogurt.) I stumbled across this recipe and thought it looked amazing. Such a beautiful presentation for something so easy! I made a few modifications (including adding more eggs). 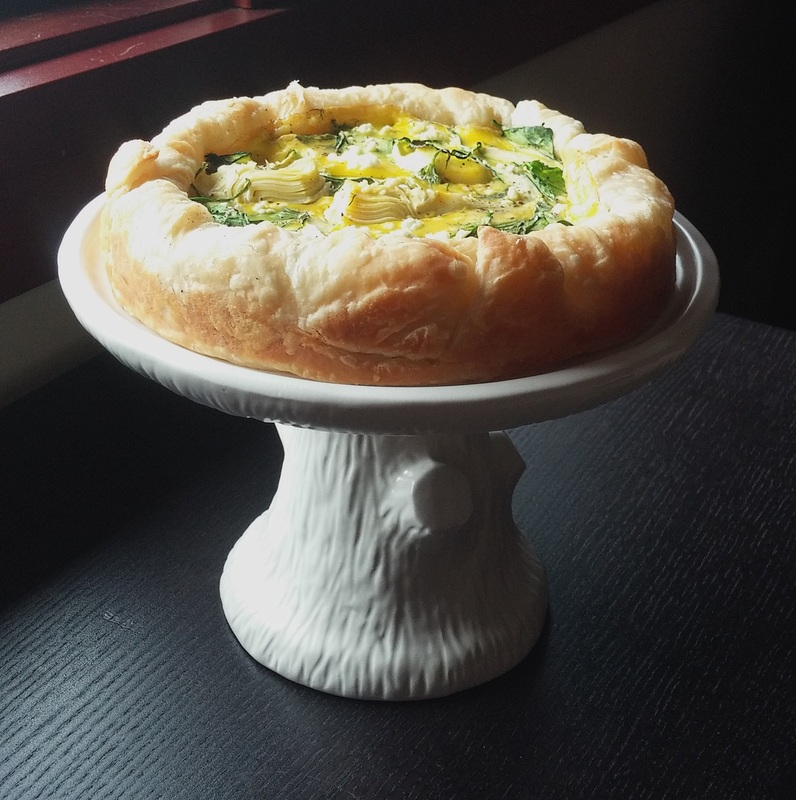 🙁 I like a thicker quiche, and I wanted to amp up the presentation by making this in a springform pan and serving it on a pedestal. You can use whatever vegetables you like in this. I used zucchini, artichokes and baby spinach, but asparagus, leeks or arugula would all work well too. A summer version of this would be excellent with zuchinni, corn and tomatoes. Served with a salad, this makes for a perfect spring brunch. This is a small recipe that serves 3-4, but you could make it for a larger group by using a full sheet of puff pastry and doubling the rest of the ingredients.